03 August 2017 – Evolva announced today that Swedish wellness innovator Nutrinovate has selected Evolva’s Veri-te™ resveratrol for its Reserol healthy ageing skin care supplement range. 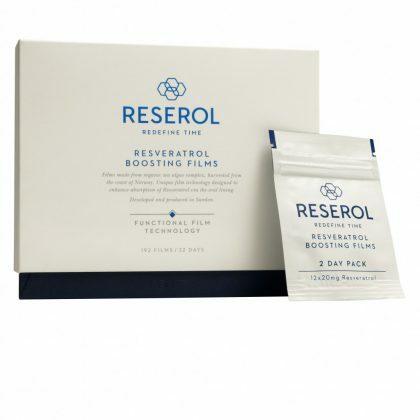 The Reserol product range combines resveratrol and a novel Funtional Film Technology™ (FFT), Nutrinovate’s dissolvable oral film strip system that enables functional ingredients like resveratrol to be delivered to the body through the inside of the cheek. This technology has demonstrated a number of advantages like direct distribution to the bloodstream, faster bioavailability, and ease of use. Developed in Sweden, FFT is the result of 10 years of research and development, and is protected by a number of global patents. Reserol is produced and marketed by Nutinovate as a ‘Beauty From Within’ concept product. 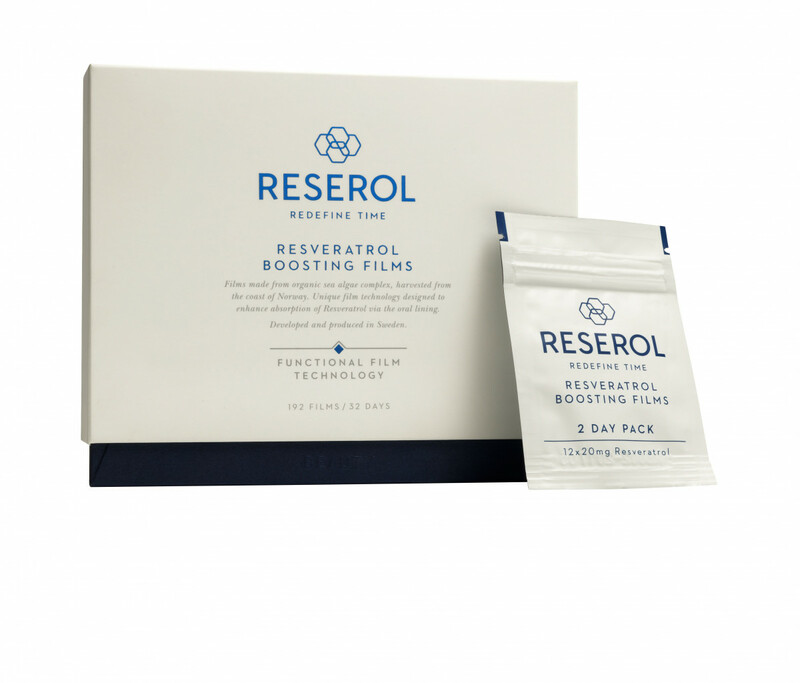 With strong research showing resveratrol can boost skin elasticity, reduce age spots and wrinkle depth, and improve skin smoothness*, Reserol is proving a popular product in the healthy ageing category. The oral film strips each contain 20 mgs of Veri-te™ resveratrol. The daily recommended dose is 6 film strips. With both a plain and mint flavour product already in the portfolio, Nutrinovate has plans to launch additional products within the next few months, including a resveratrol with vitamins film. The product is sold globally online via the Reserol web shop. Nutrinovate distributes Reserol in two large pharmacy chains in Sweden, and is in talks with retail outlets in the UK as part of its planned expansion. Resveratrol is a polyphenol found in several types of plants, including red grapes, blueberries, and nuts. Resveratrol plays a defense mechanism role to help protect against environmental stressors. Scientific evidence suggests that it can also help promote healthy ageing in humans and animals. Resveratrol is drawing a lot of attention in the scientific community with over 1100 studies published in 2016 alone; the total number of publications on resveratrol now exceeds 9000, making it one of the fastest growing bodies of evidence for a health and wellness ingredient. This published research and clinical data suggests that resveratrol can aide in healthy ageing through maintaining bone health, cardiovascular health, blood glucose control, healthy cognitive function, skin youthfulness and oral health. Evolva launched Veri-teTM as its brand for resveratrol in February this year to further differentiate its high quality ingredient provided by a transparent and trustworthy supplier. Veri-teTM offers the opportunity to develop a whole range of resveratrol-formulated health and wellness products. It is produced from the same natural fermentation process that has been used for years to make high-purity ingredients with uniform consistency, ranging from medicines to food ingredients. Veri-teTM is off-white in colour, odourless and tasteless. It can be readily used in a wide range of consumer health applications from food supplements (capsules, tablets, chews) and cosmetics to energy and wellness drinks and personal care products. Veri-teTM resveratrol has EU Novel Foods approval and US Self-Affirmed GRAS status. Halal and Kosher resveratrol is also available. Evolva also make a pharma-grade resveratrol.